Emmy(R)-Nominated Hot Wheels(R) Battle Force 5(TM) Returns to Saturday Mornings on September 18 | Mattel Inc.
EL SEGUNDO, Calif., Sep 17, 2010 (BUSINESS WIRE) -- Debuting Saturday, September 18 on the Cartoon Network, Hot Wheels(R) Battle Force(TM) 5 Fused drives into living rooms with all-new heroes, a powerful cast of villains and thrilling vehicle combinations that deliver action-packed racing adventures. The Emmy(R)-nominated series enters its second season following the elite drivers of Battle Force 5(TM) as they defend Earth in an ongoing interdimensional war. Featuring CGI-Animation, for the first-time the Battle Force 5(TM) team can now "fuse" two different vehicles into a single, super-powered machine to help them defeat their most powerful enemy yet - the Red Sentients. 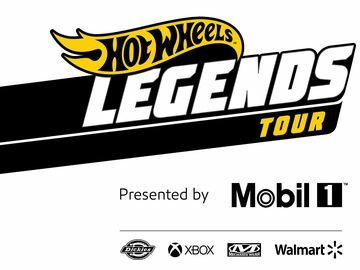 "The second season of 'Hot Wheels Battle Force 5' offers new epic storylines, unforgettable villains and amazing car combat as our teen heroes take the fight to the enemy," said Audu Paden, supervising producer for Hot Wheels(R) Battle Force 5(TM) and multiple Emmy(R) Award winner. "We've supercharged the CG animation and know that this will really rev up today's generation of Hot Wheels fans. 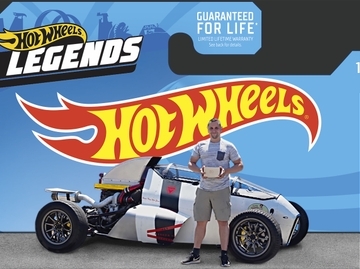 We are thrilled by the success of the first Hot Wheels animated television series originating from Mattel's inventive internal design teams." In its first season, Battle Force 5(TM) garnered several Daytime Emmy(R) Award nominations and quickly became a favorite show for boys. Kids can replicate their own "off-screen" fused moments with a new toy assortment of Hot Wheels(R) Battle Force 5(TM) vehicles and figures. The toy line includes two vehicles that feature the special fusion transformation, weapons and firing projectiles, complete with two articulated figures to play out the ultimate Battle Force 5(TM) adventures seen on TV. Hot Wheels(R) Battle Force 5(TM) Fused products are available at retailers nationwide. For more information, visit www.battleforce5.com or www.shop.mattel.com. Battle Force 5(TM) can be found on Facebook: www.facebook.com/BattleForce5. Hot Wheels(R) Battle Force 5(TM) Fused will air on Saturday mornings at 10:30 a.m. (local time). New episodes can be seen beginning September 18 through summer 2011 on the Cartoon Network. Mattel, Inc., (NASDAQ: MAT, www.mattel.com) is the worldwide leader in the design, manufacture and marketing of toys and family products. The Mattel family is comprised of such best-selling brands as Barbie(R), the most popular fashion doll ever introduced, Hot Wheels(R), Matchbox(R), American Girl(R), Radica(R) and Tyco(R) R/C, as well as Fisher-Price(R) brands, including Little People(R), Power Wheels(R) and a wide array of entertainment-inspired toy lines. In 2010, Mattel was named as one of FORTUNE Magazine's "100 Best Companies to Work For" for the third year in a row, and was ranked among Corporate Responsibility Magazine's "100 Best Corporate Citizens." Mattel also is recognized among the "World's Most Ethical Companies." With worldwide headquarters in El Segundo, Calif., Mattel employs approximately 27,000 people in 43 countries and territories and sells products in more than 150 nations. At Mattel, we are "Creating the Future of Play. ".